Chase the dream! Share the dream! Those who enter early will have the opportunity to reserve entry passes for exclusive access to watch the GC2018 Marathon starts and finishes! Only a limited number of these passes are available for Gold Run 2018 participants and their family & friends. Allocation exhausted. The start and finish for Gold Run 2018 will be at Southport Broadwater Parklands (Marathon Venue). Participants in Gold Run 2018 will need to enter through the Pedestrian Screening Area (PSA) at the Optus Aquatic Centre and proceed north along the pedestrian walking route to the Marathon Venue. To be permitted entry via the PSA, participants MUST wear both their Gold Run 2018 participant t-shirt and race number. Participant t-shirts and race numbers WILL NOT be available at the entry point. View the FAQs for more information on what will be and what will not be permitted into the venue. Participants must arrive at the PSA no later than 7:00am to allow time to complete the screening process and proceed approximately 1km from the PSA to the Gold Run 2018 Marshalling Area. Participants in day wheelchairs must enter the venue via the PSA and proceed to the Gold Run 2018 Wheelchair Participant’s Area close to the start line. Participants in racing wheelchairs must enter the venue via the PSA (Pedestrian Screening Area) in their day chair and transition into their racing chair in the Wheelchair Participant’s Area close to the start line. The racing chair can be brought in by a companion through the PSA. Day chairs will then be stored in the Wheelchair Participant’s Area. GC2018 is affiliated with the Companion Card program and we are committed to providing an accessible Games. If a participant requires a companion to complete the event, they will be entitled to one free entry into the event. The participant will need to contact the Gold Run team to ensure their companion’s entry details are captured as they will still be required to wear the event t-shirt and race bib whilst entering the venue and on course. Please send all details through to goldrun@gc2018.com or call the team on 1300 2018 00. Please note there is a strict 60 minute cut off time from when the starting gun is fired. However, due to the large number of participants it will take several minutes for everyone to cross the start line and we recommend all participants must be confident in completing the 5km course in under 50 minutes prior to entering the event to avoid disappointment. If a companion is only required to help with access to the venue, the participant must advise this in their entry in accessibility requirements and e-mail the Gold Run team at goldrun@gc2018.com. A wristband will then be issued for the companion to access the venue. The Marshalling Area will be divided into five Start Zones for participants to assemble in. The Start Zones will be indicated by the letter A, B, C, D or E on the participant’s race number. This will be based on the predicted finish time that the participant selects when completing their race entry. The Start Zones will be clearly signed and will open a minimum of 20 minutes prior to the race start. Racing Wheelchair participants and Day Wheelchair participants will assemble in the Wheelchair Participant’s Area which will be highlighted in the Participant Guide to be available in early 2018. Racing Wheelchair participants will be escorted to the start line in advance of the runners and start one minute before the runners. Day Wheelchair participants will start at the back of Zone E to allow for a smooth and safe start for all participants. Participants will have 60 minutes to complete the course from when the 8:40am starting gun is fired. Any participants who have not finished by the cut-off time of 9:40am will be directed through to the Recovery Area via an alternate route. This is to ensure there is no clash with the GC2018 Marathon races. If you are completing an entry for the Gold Run 2018 on behalf of others, you are accepting these Terms and Conditions on their behalf. Gold Run 2018 has an official cut-off time that participants must complete their race within. This cut-off time will be enforced as the event is being run in conjunction with the GC2018 Marathon and must not impact on these races. It is the participant’s responsibility to ensure they finish within the official cut-off time. Course officials may issue warnings on-course and have the authority to remove participants from the race at any of the cut-off locations when a participant is behind the cut-off time and their safety or event progress is compromised. As it will take time for all participants to cross the start line, all participants should be confident and capable of finishing 5km in 50 minutes (i.e. 10 minutes per kilometer pace or faster). Free public transport will be provided for all Gold Run 2018 participants. Participants must clearly display their race number and participant t-shirt to access Queensland Rail services between Brisbane and the Gold Coast, G:link and Surfside Buses. A dedicated Gold Run 2018 shuttle bus will operate between the Parkwood and Helensvale Park ’n’ Ride locations and Southport. Walking or running to the venue is highly encouraged, and bicycle parking will also be available for cyclists at Loders Creek, Stevens Street and Nerang Street. Full transport information will be available in the Participant Guide to be available in early 2018, however you can also use the GC2018 journey planner to plan your journey to the precinct. What is Gold Run 2018? Gold Run 2018 is a 5km fun run to be held for the community during the Gold Coast 2018 Commonwealth Games. It will be held on Sunday 15 April 2018. What is the distance and course?  Gold Run 2018 will start and finish at the GC2018 Marathon start line, with the 5km course taking participants north to a turnaround point in Labrador and then back south to a grandstand finish at Southport Broadwater Parklands. View Course Map. Is the course on a part of the GC2018 Marathon course? Yes. Participants in Gold Run 2018 will have the opportunity to follow the first 2.5km of the GC2018 Marathon course before turning and following the course back to the finish line. Is there a maximum number of participants in this event? Yes. Only 6,600 people will be able to participate in Gold Run 2018. If you would like to take part, make sure you get your entry in quick as it will sell out! If I miss out on an entry, will there be a waitlist? No. Once the participant entry cap has been reached, there will not be a waitlist. If any of the 6,600 registered participants cannot take part, they can transfer their entry to another person. Entries open at 9:00am on Friday 10 November 2017 (AEST). An entry can be completed online by following the entry process. You will need to submit payment at the end of the entry process to secure your race entry. Enter here. The entry fee is $66 per person (includes GST and credit card fees). Entries close on Wednesday 31 January 2018 at 11:59pm (AEST) unless the 6,600 entry cap is reached prior to this date. Is there a minimum age of entry? Yes. Participants must be aged 12 or over (age at 15/4/2018) for security and safety purposes. If I am under 16 years of age, do I need a parent or guardian to enter the event with me? Yes. Children aged 12-15 years must have a parent or guardian enter in the event with them to be able to participate. If I am in a wheelchair, can I take part in the event? Yes. People with racing wheelchairs or day wheelchairs can participate in the event as long as they adhere to the general conditions of entry. Please indicate if you will be competing in a racing wheelchair or day wheelchair when completing your entry. Participants in racing wheelchairs will start one minute prior to the runners. Participants in day wheelchairs will start from the back of Zone E.
Can companions enter with wheelchair participants? GC2018 is affiliated with the Companion Card program and we are committed to providing an accessible Games. If a participant requires a companion to complete the event, they will be entitled to one free entry into the event. The participant will need to contact the Gold Run team to ensure their companion’s entry details are captured as they will still be required to wear the event t-shirt and race number whilst entering the venue and on course. Please send all details through to goldrun@gc2018.com or call the team on 1300 2018 00. Please note there is a strict 60 minute cut off time from when the starting gun is fired. However, due to the large number of participants it will take several minutes for everyone to cross the start line and we recommend all participants must be confident in completing the 5km course in under 50 minutes prior to entering the event to avoid disappointment. If a companion is only required to help with access to the venue, the participant must advise this in their race entry in accessibility requirements and e-mail the Gold Run team at goldrun@gc2018.com. A wristband will then be issued for the companion to access the venue. What payment methods can I use for entry? Payments can be made with Visa or MasterCard. We are not able to accept payments by cheque, PayPal or other payment methods. Please note, the entry fee includes all credit card charges. No. Payment is required at the time of entry. What are the t-shirt sizing dimensions? All measurements are in centimeters and measured across the chest, 2.5cm below the underarm seam. The opportunity to reserve entry passes for exclusive access to watch the GC2018 Marathon starts and finishes. Only a limited number of these passes are available for Gold Run 2018 participants and their family and friends. Can I update my entry after I have submitted it? Yes. You can update your entry in person during Race Pack Collection at the Check In Centre. Can I get a refund if I cannot take part anymore? No. Entries are non-refundable. However, you can transfer your entry to another personduring Race Pack Collection at the Check In Centre. Yes. Entries can be transferred from one entrant to another. You can transfer your entry in person during Race Pack Collection at the Check In Centre. I’ve applied to volunteer and I want to purchase an entry into Gold Run 2018, can I still volunteer if I am successful in getting an entry? We want everyone to be involved and experience the best of GC2018. If you’re offered a role as a volunteer, then we will need you to be available for the duration of GC2018. Although we cannot guarantee it, we will attempt where possible, to schedule your shifts so that you can attend and participate in Gold Run 2018. Can blind participants use a cane during Gold Run 2018? Organisers are committed to the safety and security of all participants. For the safety of blind participants and safety of others, we discourage the use of canes during the event. Instead, we encourage blind participants to be guided by a companion. With 6,600 people running in this event together and a time limit of 60 minutes to complete Gold Run, it would be a safer option for blind participants to run with a companion who can navigate them through the crowds and venue. The Gold Run 2018 Check In Centre will be located on the Gold Coast. Parking is available. Please view the Translink website for detailed information on travel routes, timetables and tickets. Can my Race Pack be posted to me? Yes. Entrants with an Australian postal address can elect to have their race pack posted out. It will cost $12.  This option can be selected during the online entry process or by clicking Update Entry Details until 11:59pm AEST on 31 January 2018. What do I need to take to the Check In Centre? You will need to provide photo identification when collecting your race pack as well as your entry confirmation certificate (a digital or print version will be accepted). If you are collecting on behalf of another person, you will be required to provide a letter or e-mail providing their permission to do so along with a copy of their entry confirmation certificate. If you were lucky enough to secure a GC2018 Marathon wristband, you will also need to collect this to allow you and/or your family and friends to view the Marathon starts and finishes. What can I do if I can’t locate my entry confirmation certificate? Click here to enter the name and email address that you used to enter and we’ll resend your confirmation email. Does the entry fee include free transport to and from the event? As it will be warm on the Gold Coast in April, we suggest wearing shorts/tights and running shoes. You must wear your Gold Run 2018 participant t-shirt and race number (on the front of your shirt) to gain access through the Pedestrian Screening Area (PSA) and for the duration of the race. The shirt will be supplied when you collect your race pack from the Check In Centre (or via post if you selected this option in your race entry). Hats and sunglasses are permitted however backpacks and drink bottles are not allowed on course. Please refer to the prohibited items list. Do participants have to wear the participant t-shirt during the race? Yes. It is a requirement for the event that all participants wear the participant t-shirt and race number when entering the venue and running on course. We’d like to remind you that our bag drop is unique to the Gold Run 2018 event.  None of our other GC2018 Commonwealth Games events will operate this service. If I am under 16 years of age, do I need to run with my parent or guardian? While you must have a parent or guardian entered in Gold Run 2018 with you, children aged 12 to 15 years are allowed to run at their own pace during the event. The parent or guardian must accompany these children to and from the venue. Can I participate with a pram, pet, bicycle, handcycle, skateboard, rollerblades or scooter? No. Prams or baby carriers, pets (guide dogs excepted) or any mode of wheeled transport other than racing wheelchairs or day wheelchairs are not permitted. This is for the safety and enjoyable participation of all entrants. Yes. The cut-off time will be 60 minutes after the starting gun is fired. If participants are not across the finish line within this time, they will be directed by race officials to the Recovery Area via an alternate route. This cut-off time will be strictly enforced. Due to the volume of entrants, participants are advised that it will take several minutes for everyone to cross the start line so you will have less than 60 minutes to actually cover the 5km distance. The start and finish for Gold Run 2018 will be at Southport Broadwater Parklands (Marathon Venue) at the GC2018 Marathon start line. You will need to enter via the Pedestrian Screening Area (PSA) at the Optus Aquatic Centre (see map) and then proceed approximately 1km north to the Marathon Venue. You will then enter the exclusive Gold Run 2018 Marshalling Area where you will assemble according to your nominated Start Zone. From here, you will be ushered to the start line. How do I get into the Southport Broadwater Parklands precinct? To enter a GC2018 venue all persons must proceed through airport-style security screening and inspections. These may be carried out with the use of technical aids such as body and bag scanners. As the event is held within a GC2018 competition precinct, you will need to enter the venue through the Pedestrian Screening Area (PSA) located near the Optus Aquatic Centre. For this process, you will need to wear both your exclusive Gold Run 2018 participant t-shirt and race number. Please note, you must wear both your Gold Run 2018 t-shirt and race number to gain access into the venue. When should I arrive at the Southport Broadwater Parklands? The Gold Run 2018 Marshalling Area will be open from 5:30am. It is recommended that you plan to arrive no later than 7:00am to allow time to go through the Pedestrian Screening Area (PSA) and proceed approximately 1km to the Gold Run 2018 Marshalling Area. If you are not in your Start Zone when the gun is fired, you will not be allowed to start as the cut-off time needs to be strictly adhered to. If you were lucky enough to secure a wristband into the GC2018 Marathon Venue, you will have the opportunity to watch all GC2018 Marathon race starts from within the Grandstand area. Click here to view the race times to plan your arrival time. Is there additional venue access information for wheelchair participants? Yes. Participants in day wheelchairs must enter the venue via the Pedestrian Screening Area (PSA) and proceed to the Gold Run 2018 Wheelchair Participant’s Area close to the start line. Participants in racing wheelchairs must enter the venue via the PSA in their day chair and transition into their racing chair in the Wheelchair Participant’s Area close to the start line. The racing chair can be brought in by a companion through the PSA. Day chairs will then be stored in the Wheelchair Participant’s Area. If a participant in a day wheelchair requires a companion to complete the course, the companion will receive one free entry into the event. The participant will need to contact the Gold Run team to ensure their companion’s entry details are captured as they will still be required to wear the event t-shirt and race number whilst entering the venue and on course. Please send all details through to goldrun@gc2018.com or call the team on 1300 2018 00. If a companion is only required to help with access to the venue, the participant must advise this in their entry. A wristband will then be issued for the companion to access the venue.  What is the prohibited and restricted items list? As Gold Run 2018 will be starting and finishing within the GC2018 Marathon Venue, all participants must adhere to the regular venue screening process and abide by the GC2018 Venue conditions. What are the start zones? The Gold Run 2018 will have five start zones (A, B, C, D and E) which you will be allocated to based on your nominated expected finishing time. Please select your estimated finish time as accurately as you can to ensure a smooth start and a safe and enjoyable experience for all participants. No. As a community event, the focus is on participation rather than competition. All finishers will receive a finisher’s medal. What do I do if I feel unwell on course? If you feel unwell whilst on course, please seek the assistance from the closest race official or volunteer who will get the required medical support for you. How can I find my family or friends if I lose contact with them during the run? If they are entered in the run with you, we suggest that, before the race, you identify a meeting point within the Gold Run 2018 Marshalling Area for you to meet your family and friends after finishing. If they are not entered in the run but you have been lucky enough to secure a wristband to watch the marathon starts and finishes for them along with yourself, we suggest identifying a location within the start/finish venue to meet them after finishing. If they are not entered in the run and do not have a wristband to access the start/finish venue but are planning on coming to Southport to watch the marathon and see you run out on course, we suggest identifying a meeting place along the marathon course you can meet after finishing. The event will go ahead in sunshine or rain! If there are major weather warnings for this day on the Gold Coast, check the event webpage and stay tuned to social media and your email for updates. How can spectators see Gold Run 2018? Spectators can support the participants in Gold Run 2018 in some great locations along the 5km course from Southport to Labrador (see course map). Walking or cycling will be the easiest way for spectators to access a viewing position along the course. 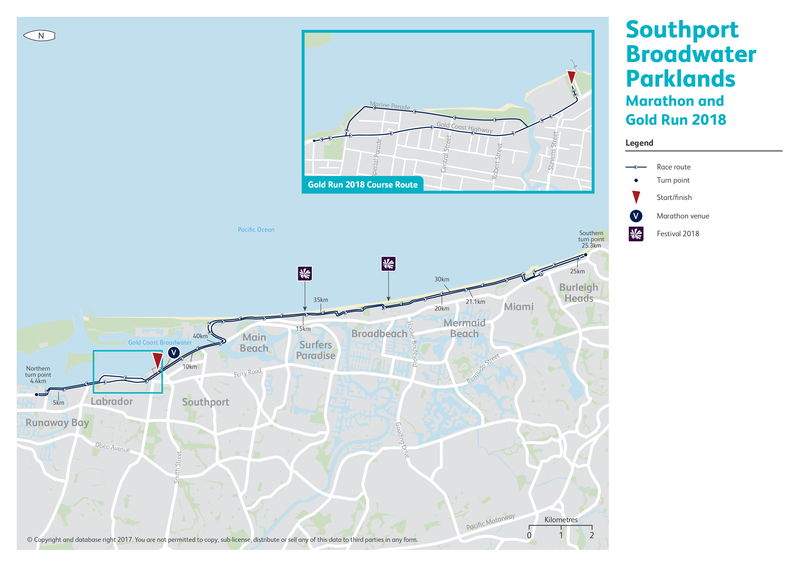 There will be restricted access to the start and finish area within the Southport Broadwater Parklands (Marathon Venue). Only those with an official entry pass wristband will be able to access this area. A guide for the Marathon and Gold Run 2018 will be available in the lead up to the Games, and information will be available on the official GC2018 App as well as the GC2018 website. Yes. To ensure the safety and security of athletes, officials, spectators and residents, there will be changes to the road network during the Marathon and Gold Run 2018. We are working closely with the City of Gold Coast, Queensland Police Service and the Department of Transport and Main Roads to ensure this world class event can be carried out safely while minimising the inconvenience to local residents and businesses. A guide for the Marathon and Gold Run 2018 will be available in the lead up to GC2018, and information will be available on the official GC2018 App as well as the GC2018 website. Our top priority is to ensure the safety of athletes, officials, spectators and residents. Temporary barriers and fencing will be required to secure some sections of the course. E-mail us at goldrun@gc2018.com or phone 1300 201 800.